Missouri Governor Eric Greitens’ lawyer Ed Dowd filed a police report on Tuesday accusing St. Louis Circuit Attorney Kim Gardner and her lead investigator, William Don Tisaby, of perjury. 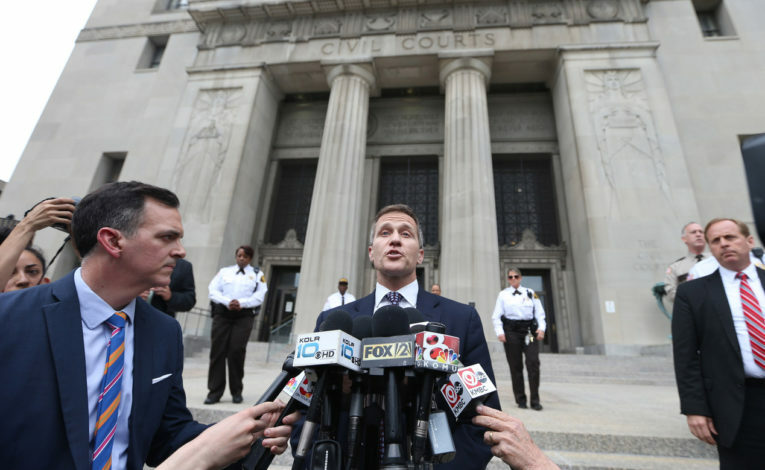 On Monday, the felony invasion of privacy case against Greitens was dismissed after the circuit attorney’s office stated they will seek a special prosecutor to handle the case. Dowd, in a written statement, said Gardner’s office dropped its invasion of privacy case because there wasn’t any evidence of a picture that the circuit attorney’s office accused the governor of taking, but said Gardner’s office’s misconduct regarding the case should still be addressed. The defense team alleged that Tisaby made false statements under oath, such as when Tisaby claimed he never took notes but was seen taking them. They have also said Gardner should have corrected Tisaby about his conduct but never did. On Monday, the case was suddenly dismissed after both sides went into Circuit Judge Rex Burlison’s chambers. 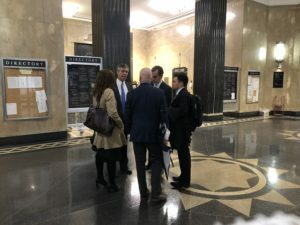 Following the meeting, a spokesman for the circuit attorney said the charges will be refiled with a special prosecutor. This comes after Greitens’ defense stated they would be seeking to call Gardner as a witness to question her over allegations of influencing witness testimony. Greitens faces another criminal charge regarding a count of tampering with computer data: modifying or destroying, disclosing or accessing for an incident that took place on around about April 22, 2015, in relation to The Mission Continues — the charity he started. The trial date for his second felony charge has not been set. The Missouri House of Representatives and Senate also is set to hold a monthlong special session to consider impeaching Greitens.